The famous sponge cake in Taiwan is now in the Philippines! Original Cake is opening their first-ever outlet on January 23 at SM City San Lazaro! Taste their world-famous sponge cakes for FREE on its opening day on Wednesday! 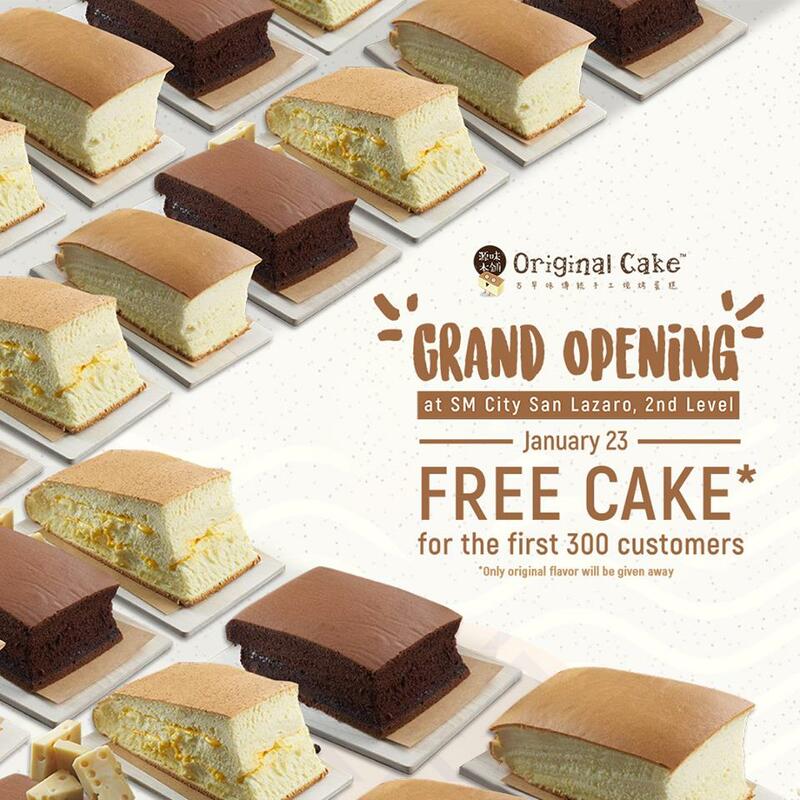 Make sure to be there bright and early on January 23, Wednesday as Original Cake is giving away FREE CAKES (original recipe) to the first 300 customers!